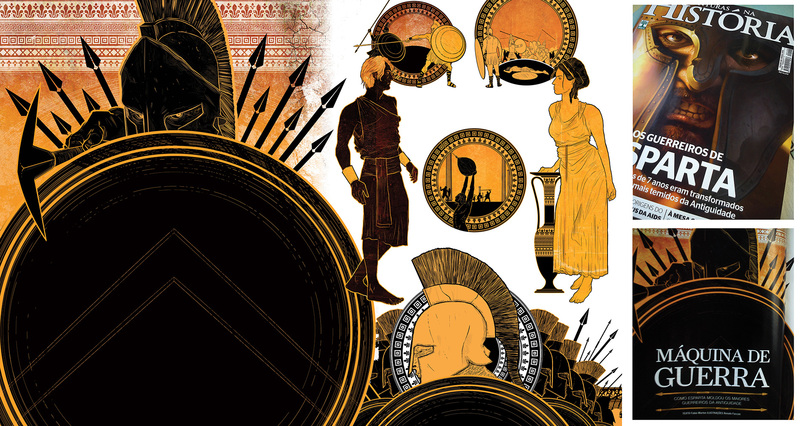 Renato Faccini illustrated the pages of the cover story that tells the history of Spartan war machine. The art director was Luciana Steckel. Cover illustration by Rodrigo Idalino.